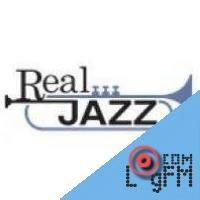 Description: Real Jazz is a Sirius XM Satellite Radio station devoted to classic and contemporary jazz and bebop music. It can be heard on XM channel 70, Sirius channel 72 and Dish Network channel 6072. Until February 9, 2010, it was heard on DirecTV channel 850. The current program director for the channel is Mark Ruffin; former PD Maxx Myrick is still heard as an on-air personality. Advertising: . At LogFm.com you can listen to any of the 45,000 radio stations online. We have made it easy for you to find your favorite radio, listen to the music you like, find the best new songs, listen to the latest news, etc. Simply type the station name in the search box and enjoy your choice. Listen to the radio online at LogFm.com. Our E-mail: info@logfm.com. Live Real Jazz (Swinging From Coast To Coast). Rock and pop music, to listen to the latest news online.All rights reserved. 2009-2019 © LogFm.com.